Mustafa Mustafayev was reproached for distribution of drugs, the activist Ridvan Memetov said in a comment to QHA correspondent. “It happened in the village of Pushkino [detention of Mustafayev, - Ed. ], he was taken in the direction of the Sovetskoe village. I tried to catch up with the car, but then it turned out that he was taken to his mother's house. They claimed, if they had not find drugs at his home, they would search his mother," he said. Memetov further notes that the occupiers did not break the doors and windows in the house of Mustafayev's mother, but waited for a judicial search warrant. “We waited for the warrant, they began to inspect the house with the dogs, did not find anything. Mustafa was in the car. Then they decided to take him to Sevastopol. His wife and second son followed the car, which took him to Sevastopol. The search ended, drugs were not found, a protocol was handed over," Memetov summed up. 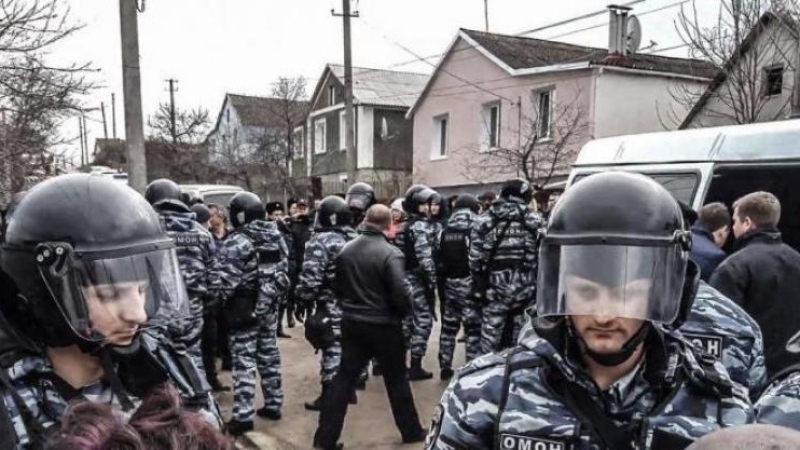 QHA reported that November 16, in the occupied Crimea the security forces conducted searches in the homes of Crimean Tatars. The search took place in the home of a primary school teacher, a teacher of the Crimean Tatar language Lenara Mustafaeva and her husband Mustafa. Moreover, the security forces searched the house of Mustafa's mother Adzher Mustafayeva on the next street.